Pressure sensitive label and hang tag manufacturer Labels Unlimited has recently installed a Mark Andy Digital One in a push to bring digital label production in-house. The company was first introduced to the Digital One solution at Labelexpo Americas 2016 in their hometown of Chicago, Illinois and signed a purchase agreement on the show floor. Preceding the press acquisition was a two-year period in which the company searched for a digital technology that would accept unprimed material and would not require ancillary machinery for lamination and finishing. The Mark Andy digital hybrid press was the ideal fit and subsequently installed Q1 2017. Mark Andy Digital One is a standalone digital label press with more than 40 units sold and in production. A dry toner CMYK printing process, multi-use flexo station, and inline converting and finishing functionality support growing demands for short runs and affordable decoration. Labels Unlimited worked over the years to build their impressive book of flexographic business, consisting of food, cosmetic, and beverage clients. Labels Unlimited previously outsourced short run and versioned work to a local partner with a traditional digital press. With the addition of a Mark Andy Digital One, they are now able to produce the same work internally at a fraction of the cost of farming out the runs. 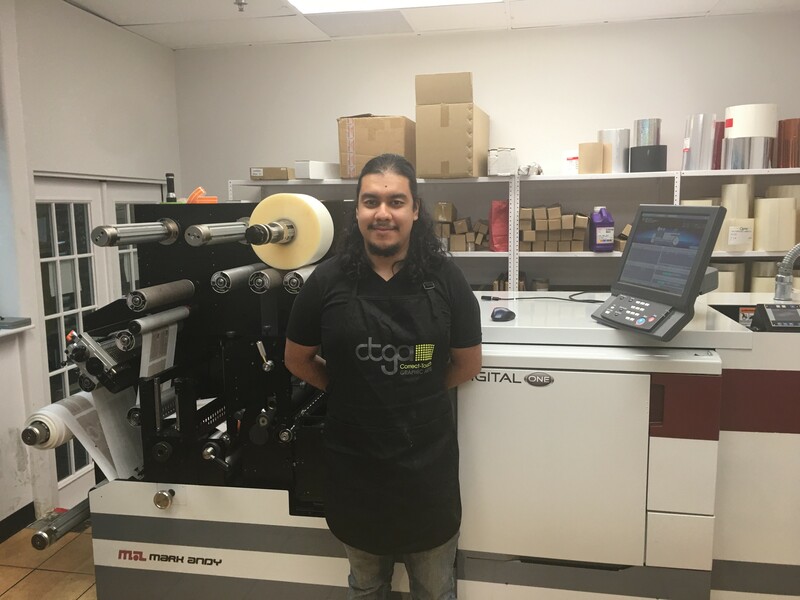 The Chicago-based business reports that the CMYK digital printing and converting asset was profitable for their operation from day one. On the day of install, their lead digital press operator was able to produce a client production run on the Digital One. The final output was then sent out the door on the same day. 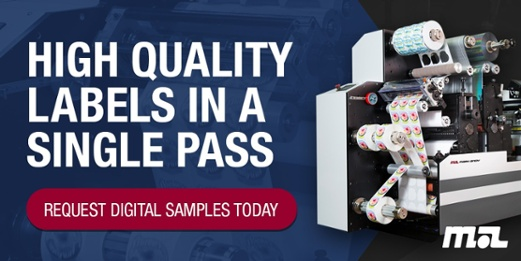 Digital One enables Labels Unlimited to truly optimize their workflow, fulfilling smaller quantity rush needs for customers to allow time to produce longer runs on legacy flexo machinery. “The true value of this press is the ability to completely use our existing material. 1,000 feet of leftover substrate from a flexo press is no longer waste and can be used on the digital. We don’t need to buy any media specifically for this press” states Akhras. Material is commonly one of the biggest costs within the pressroom and the substrate compatibility of Digital One reinforces the value of hybrid presses. Merging together the benefits of two complimentary printing process- flexo and digital- into a streamlined production process. While this is the first piece of digital Mark Andy technology acquired by the business, there is an intimate familiarity between the two brands. Labels Unlimited’s seasoned press operators are very acquainted with the Mark Andy name. 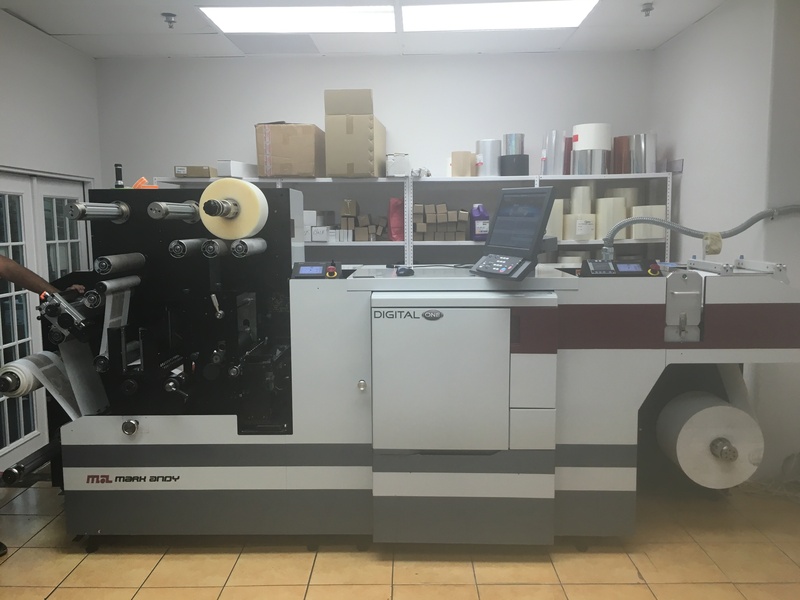 As Label Unlimited looks to the future, they hope to continue to expand their digital portfolio and explore the addition of a full-production flexographic press equipped for shrink sleeve applications. For more information on Labels Unlimited, please visit their website. Chandler Davis is an Marketing Specialist at Mark Andy based out of the company’s global headquarters in Saint Louis, MO. She is a University of Missouri graduate with a passion for social media, packaging design, and all things printing.